Some jobs are more important than others, right? It’s always an honour and a privilege to perform the Last Post at a funeral service and today’s, which took place in a beautiful part of the Hampshire countryside, was no exception. 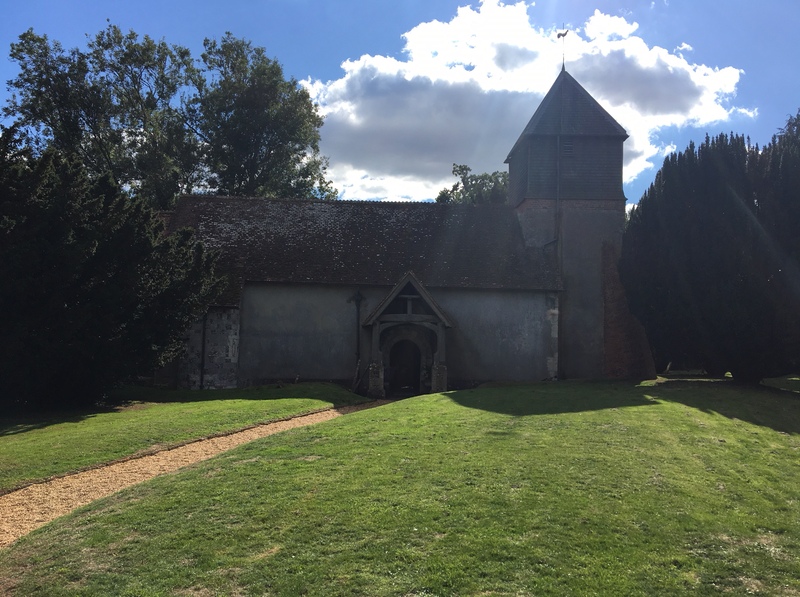 When tasked to attend these engagements, it is often the case that you are unaware of the history and background of the deceased person, until you arrive at the Church or Crematorium. Today’s funeral was for a very interesting individual indeed! 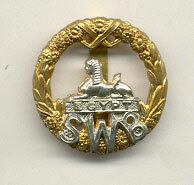 The deceased gentleman was not only for a former Brigadier, but he was also a former Commanding Officer of the South Wales Borderers (an antecedent Regiment of The Royal Welsh). His military career saw him serve in Aden, Malaya and Hong Kong, but he also was one of the troops who landed on Gold Beach in Normandy on June 6th (D-Day) in 1944. As if that wasn’t impressive enough, add in to the mix that he was also a Knight of The Realm and this made the gentleman’s story complete. Despite all this and regardless of who the deceased person was, their rank, status in society and type of military service, they deserve the very highest of standards when the Last Post is performed. I very much hope that this was the case and my efforts today would have met with his approval. RIP Sir, your duty is done. For further information about the Last Post, please contact Andrew by clicking here. Nice to know when you get things right. I’ve just got in from a meeting and started ploughing my way through the myriad of e-mails offering me every Christmas bargain going, the scam asking me to deposit all my life-savings in some off-shore Bank in Liberia and the obligatory mail, offering me various medical products that will supposedly endear me to my Wife even more than my already successful Marriage could ever imagine! 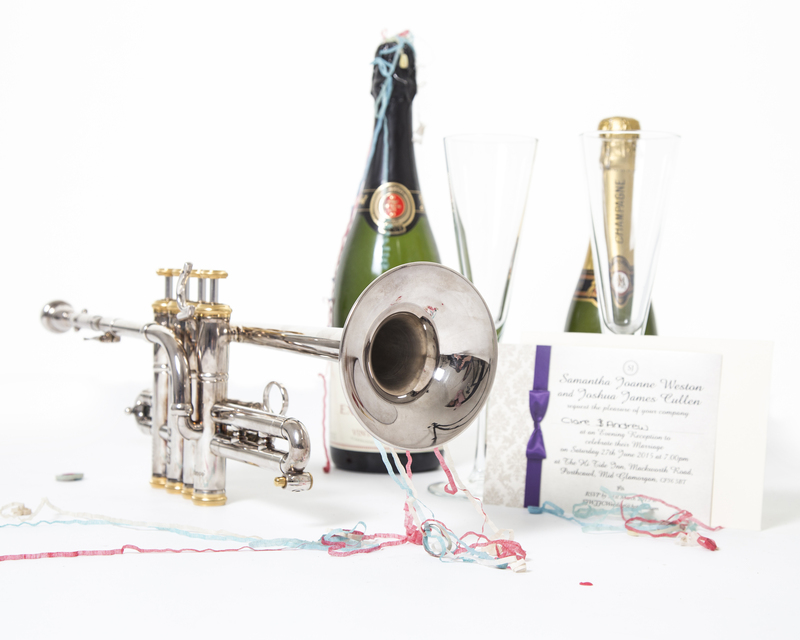 In amongst all this detritus however, was an e-mail from a Funeral Director that I had recently worked with, where I performed The “Last Post” for an ex-Comrade’s Funeral Service. I felt that I should write to you regarding the funeral of Mr. M. The respect you gave to this service was first class. 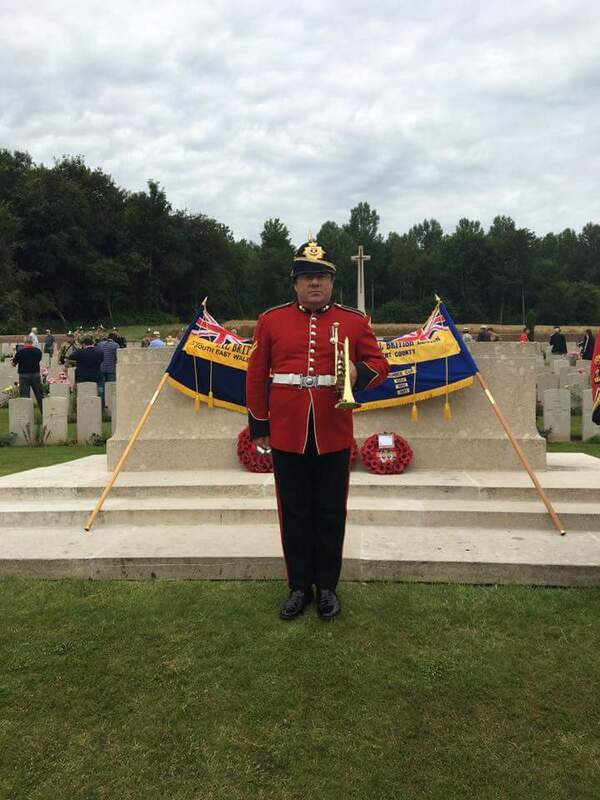 The family wanted to give their father a day he would be proud of, which included the Royal British Legion and standard bearers, the Union Flag on the coffin and as they said, the icing on the cake you. He was very proud of his country and his war record and as the family said you brought everything together. They said to pass on their heart-felt thanks to you. The older men at the service all said the same thing ‘note perfect’ – the only place you hear the Last Post played like that is at the Cenotaph. You have given the family a wonderful memory which will last a life time. This simple gesture took only a matter of minutes to do, but has left me glowing with pride and satisfaction, knowing that I gave my best for that old Soldier, his family and all the other people present and that my services were noted, valued and hopefully will be remembered for future opportunities with that Funeral Director (and others by recommendation). If you have received good service from someone today, write a short testimonial and put a smile on their face. It will be the best Christmas gift you can give them! This Sunday will once again see many of us commemorating Remembrance Day at Parades and Memorial Services up and down the country. One of the integral parts of that Service, will be the playing of the Last Post preceding the 2 minute Silence. For many, this is the most poignant part of the proceedings, bringing all sorts of emotions to the surface, from even the most robust and stiff-upper-lipped of characters, as memories of loved ones and fallen Comrades, as well as thoughts of current serving personnel in the Armed Forces are given heightened awareness. 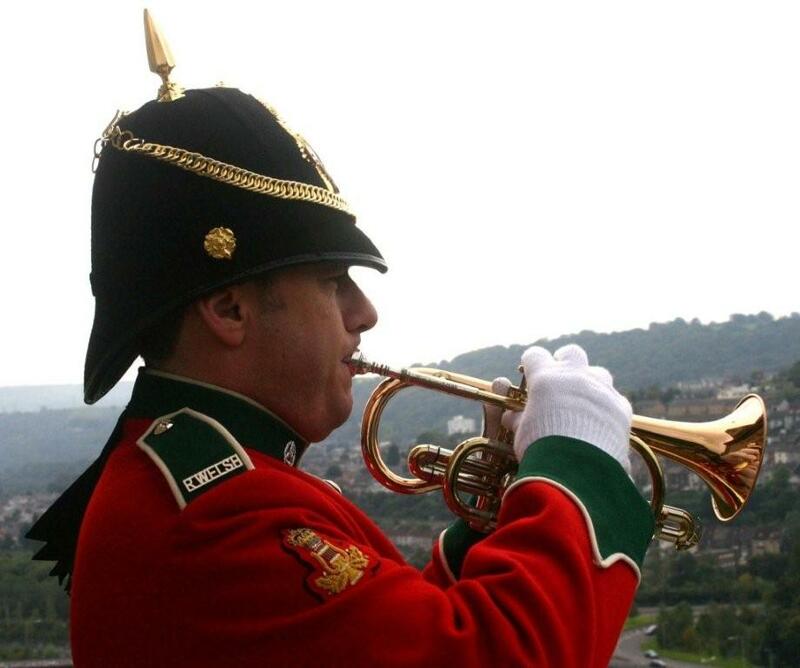 I have been honoured and privileged to have been asked to play the Last Post at numerous Parades, Memorial Services and Funerals during the last 30+ years and since joining the Regimental Band of The Royal Welsh, have a heightened awareness of its relevance and meaning to members of the Armed Forces and civilians alike. 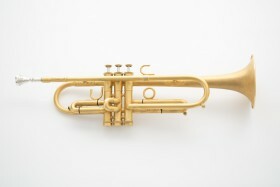 For those who understand music theory and a little about brass instruments, the Last Post is merely a C Major Arpeggio (consisting of 5 different notes) usually played on either a Bugle, a Cornet or Trumpet. There are no valves (buttons) required and the music is such, that it can be performed by a player of around Grade 5/6 standard or above. 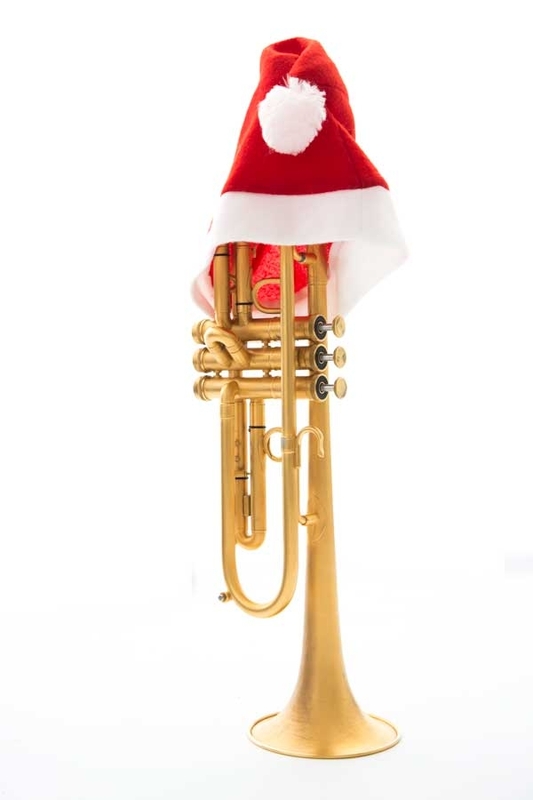 Understandably, the Last Post is something which is sorely missed if not performed, however can become the target of all kinds of criticism and at its worst, ridicule, if not played absolutely perfectly. “But it should be played, perfectly!” I instantly hear you cry. Trust me when I say that anyone who is tasked with playing this short, simple piece of music, wants to play it to the best of their ability and get it note-perfect. 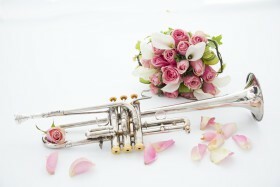 The onus of representing your Village, Town, Royal British Legion Branch, local brass band, school band etc. 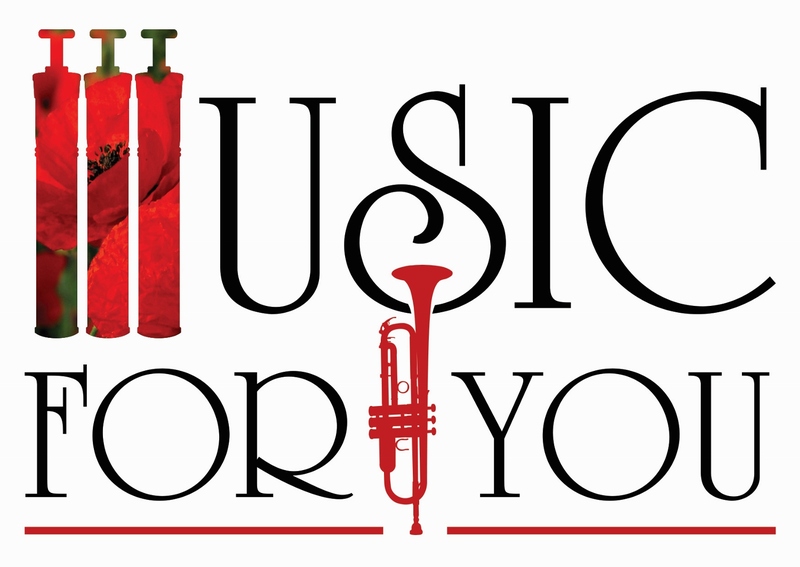 is one which will have given many a Bugler sleepless nights this week, knowing that every note represents so much, to so many people and is the “ultimate tribute” to those who have fallen in conflicts. Many of these Buglers however, are not professional musicians and are volunteers who are “doing their bit” for their local community. There may be instances where they have been “volunteered”, owing to nobody else being available, someone being taken ill at the last-minute, or nobody was brave enough to stand up and be counted and do it in the first place. One hopes that the weather will be kind on Sunday, but even then, putting a freezing cold metal mouthpiece – some use plastic, but it never feels the same for the player – on lips that are tight from the cold and from hanging about waiting to play, doesn’t make for ideal preparation. Miss just one note and you can sense everyone wince and start inwardly tutting about it. For a variety of reasons, there are less Buglers being available each and every year to perform at parades and the demand, sadly far exceeds the supply. 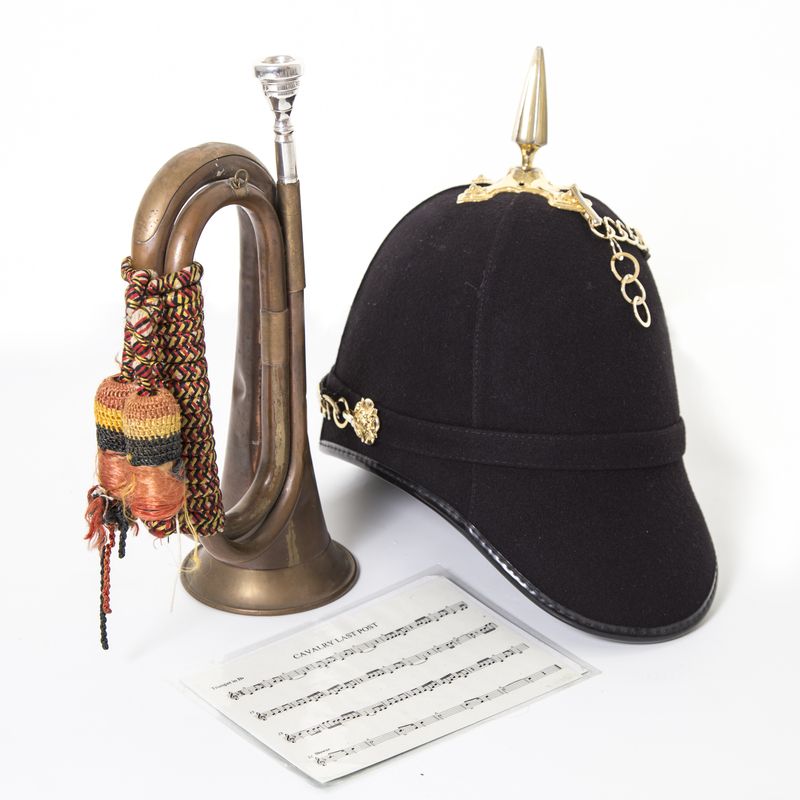 Please be assured that your Bugler will try their damnedest to give as fitting and respectful a tribute as they can, but if it’s not quite note perfect, don’t be quick to criticize, but be thankful that you had a Bugler there at all, to add that something special to the Memorial Service. Buglers, we salute you!